Expansion for 5 and 6 Players. 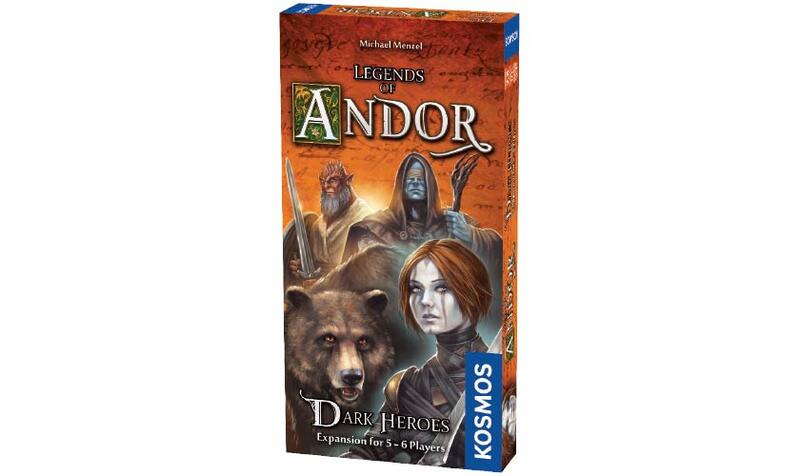 Four unconventional heroes and heroines are called upon to help the Andori: Darh, the summoner of the mighty bone-golems; Forn, the strong half-skral; Leander, the shadowy seer, and Drukil, the werebear — a shape-shifter who can turn into a huge bear. But these complex heroes don’t only offer advantages; they can also become a threat to your group. 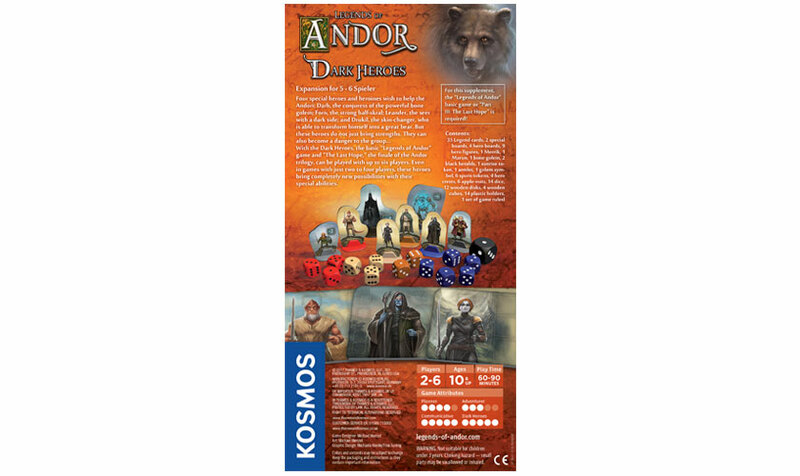 With this expansion, the Legends of Andor base game and the epic finale to the Andor trilogy, The Last Hope, can be played with up to six players. These dark heroes can also bring completely new gameplay possibilities to games of two to four players. 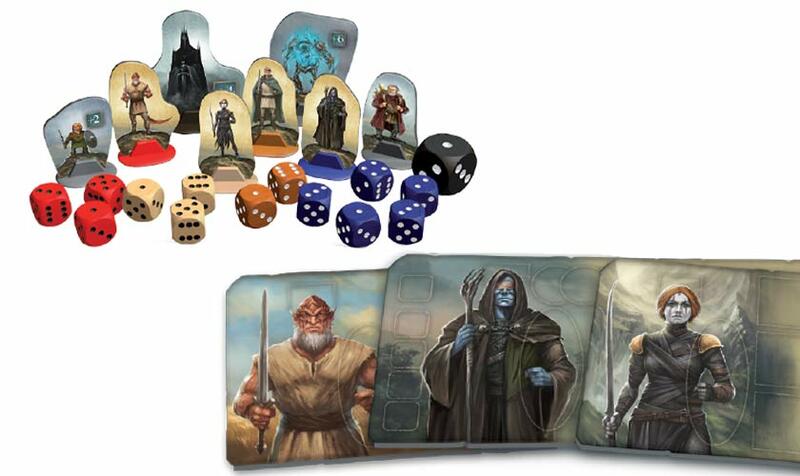 The expansion includes four new hero boards, dice, cards, and figures.